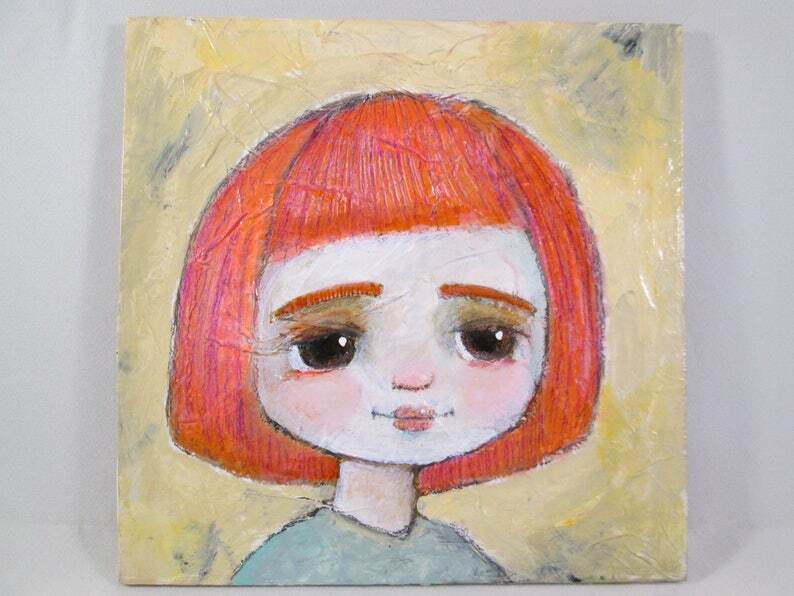 This little girl was created as part of a course called "Penelope" by the lovely Mindy Lacefield. She was painted on a 5.875 x 5.875 wood board that was first covered with tissue paper for texture. She has big, beautiful doe eyes and a soft sweet expression. The colors are bright and vibrant and it was sealed with a satin varnish for protection.